Bill Price’s life isn’t extraordinary in the least. At best, you could call it a struggle. Bill’s wife died 18 months ago and left him with a teenage daughter. Like most men, Bill doesn’t speak teenager and he’s not sure how to help his daughter get through the loss that he’s barely surviving himself. Just when he thinks that things couldn’t possibly get more difficult, the worst thing imaginable happens. His daughter Summer, and her best friend Haley, go missing. Days after they’ve gone missing, life takes another sharp, painful curve. Summer’s beaten, broken body discovered. Thankfully she’s alive but her friend Haley was not so fortunate. As Bill sits by his daughter’s bedside, he struggles once again with the grief over losing his wife and how he’s going to work through what has happened to his child. But Bill’s struggles aren’t quite as far behind him as he’d thought. Things are about to get even more strange and, believe it or not, even more horrifying. I’ll start out by saying that I usually avoid any sort of entertainment that puts kids in danger. Missing kids? Nuh uh no way. That is definitely not how I roll. I learned long ago that I get too deeply into the story (movies, TV, books – doesn’t matter what it is) and I’m not able to let it go. Why would I go against that personal rule? Well, for David Bell. He’s one of the only people I will regularly follow and this time around, he (once again!) did not disappoint. This story is full of deep resonating themes that hit with a powerhouse punch. As a single dad, can Bill really reach out and help a teenage girl? Is it even possible for someone who is grieving so deeply to help others? And what do we, as parents actually know about our kids? I really want to talk about some of the things that happened in this book, but it’s nearly impossible to do so without spoiling. I will say that there are so many twists and turns that a reader could almost hurt themselves. More than once I found myself yelling at my Kindle. (And in the middle of the night too! I will let you know that this is not a book that you should save for bedtime reading! Just when you think that you might be able to put it down, Bell shifts gears in dramatic fashion and you’re left not only reeling, but wide awake and unable to even consider sleep! It’s crazy! 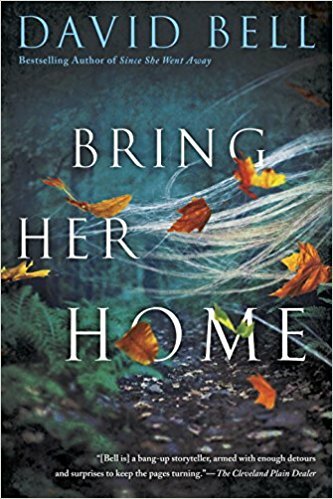 If you like suspense, thrillers, mystery, or drama – heck – if you like pretty much any kind of tension in books at all do yourself a favor and pick this one up NOW. Do not wait! You won’t want to miss this one.